Once you have a CAD model, the next step is usually to make a prototype. This allows you to look at a real version of the design before you commit to manufacture. It can save a lot of time and money, whilst also speeding up the process of getting to a finished design. There are several ways to do this, but in recent years 3D printing has become a very popular option. Sometimes called rapid prototyping or additive manufacturing, 3D printed prototypes are really versatile. With a massive variety of colours and materials now available your prototype can be made the way you want it. 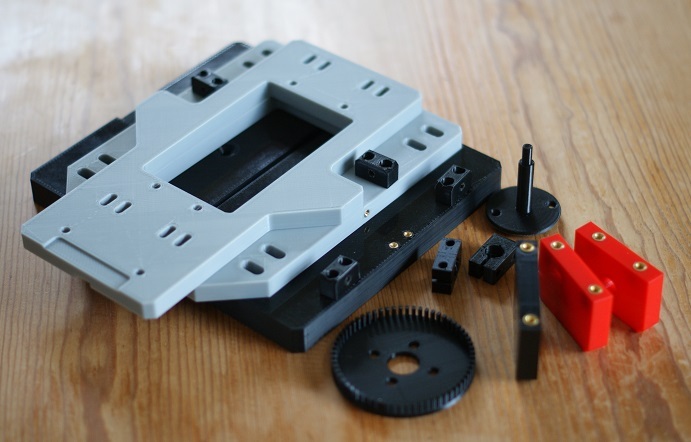 With a build volume of 300mm³ we can print fairly big parts in-house in one piece, or for bigger designs we can print multiple parts and fix them together with adhesives, tapes or traditional fasteners such as nuts and bolts. We can make threads in your parts or if increased thread strength is required, we can fit threaded metal inserts. In some cases, 3D printing parts can be used as final manufacturing method! 3D printing doesn’t suit every design, so where it’s more appropriate, we can use our in-house CNC router to make your prototype. Sometimes known as subtractive manufacture, where 3D printing lays material down only where required, subtractive processes use a cutter to remove material from a piece of ‘stock’ instead. Our CNC router can handle parts up to 800mm x 75mm high and is a great choice for parts in foam, wood – either man made such MDF – traditional timber, plastics such as acrylic, Perspex, Delrin, composites such as carbon fibre and light metals such as aluminium.